Clay Masks for Your Face and Body – The Soft Supple Skin Series continues with Part 5 …. I’ve previously written about the Wonderful World of Clay, and I love it still! Clay masks can really help improve the look and function of your skin and sometimes even make you feel like you’ve had a holiday. Clay is marvellous! It’s nature is to absorb impurities, and I remember once a therapist telling me that clay works better and is more active when it’s wet. 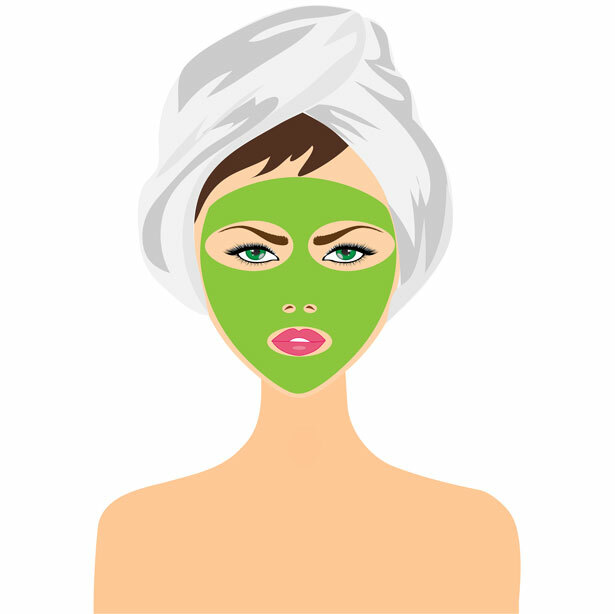 This means that if you’re giving yourself a clay face mask, when it starts to dry, moisten it with a mist of water or hydrosol, or simply place a wet facecloth over it and press into your face. I’m not sure if she is right and I haven’t found any information that supports or negates this claim, so why not experiment yourself? I do know that when you leave a clay mask to dry, it definitely feels like it is tightening your skin and giving you a bit of a lift. 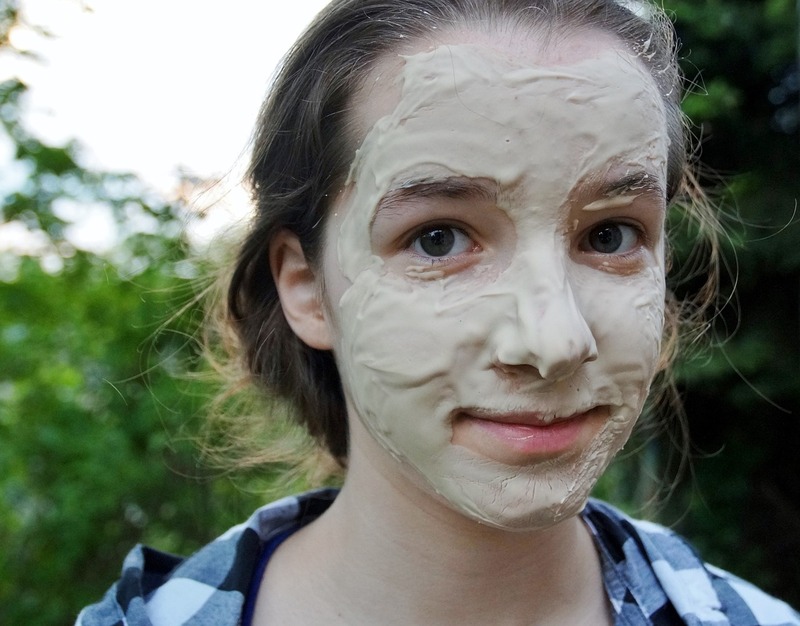 A clay face mask can make your skin feel so soft! As it comes from the earth it is a great way to help someone who is having a hard time emotionally. It will help ground them and connect their energy to mother earth. You could put some clay in a bath, or do a mask on the hands or face, even the feet. Or a foot bath with clay and essential oils – perfect for an elderly or incapacitated person. Clay masks for the body can feel amazing! Full clay body masks will give you an all-over spa treatment feeling, but beware you must wrap yourself in towels and/or blankets as your body temperature can drop very quickly. You are emersing yourself in extracts from the earth so be careful. Shower off or soak in a bath for a complete rejuvenation. Poultices and spot mask treatments can work well on the body for healing too, for example, a monthly cellulite mask on your thighs can help move lymph and perhaps add to drainage. Wrap your legs in plastic wrap to keep in the heat, then relax for 15 minutes ether showering off or soaking in a bath. For bruises or sprains a clay mask may help by soothing the site and acting as an anti-infammatory agent. Choose your essential oils wisely and don’t use too much! In 2 teaspoons of clay for a face mask only add 1 or 2 drops of essential oil. For 3/4 cup of clay for a leg mask only add about 8 drops of essential oil. There is so much more to write about with clay as most comes from France and is called “Argile”. I have some Australian clays but I can’t find them for sale anymore with my suppliers. Just dive in and have a go making a mask for yourself and see how it turns out. This entry was posted in Aromatherapy basics & how-to's, Good things come from this and tagged bathe with clay, body scrubs with clay, clay body mask, clay face mask, clay for eczema and psoriasis, clay mask for cellulite, detox with a clay treatment, French clay, green clay, pink clay, red clay, reduce veins with clay, refine your skin with clay, Soft Supple Skin Series, white clay by suzannerbanks. Bookmark the permalink. I love clays, always stock some in my cupboard and use it at least once a week. Thank you for sharing. Fab! I don’t use it as frequently as weekly but I do love clay. In other news I got a tampico body brush and a jute face brush and have started Dry brushing again. Thanks for commenting! 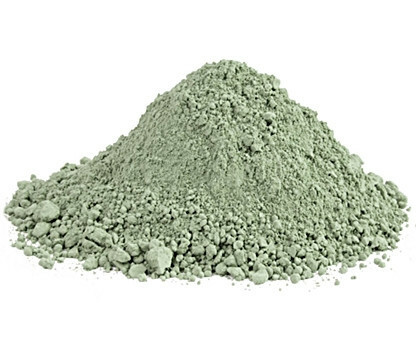 Do you have any tips on buying/getting clay: white, green, and full body?